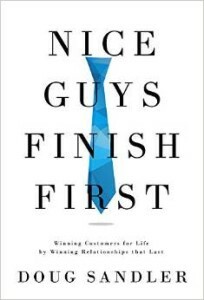 In case you missed it, click to listen to Doug Sandler, Author of Nice Guys Finish First, will be coming back on the AHA BUSINESS RADIO Show May 12th, 2015. Learn about how the Nice Guy 30 challenge can help you. Don’t miss out on hearing about Doug Sandler’s new book on 1300 WJZ-AM at 6pm!